Prerequesites: None, although some water experience is recommended. If you are unsure about which PFI course is best for your level, email us with any questions and we will get you sorted out. 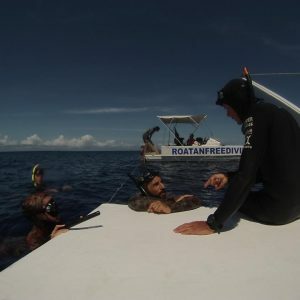 Recommendations: We do not encourage people to purchase a new set of freedive gear for this course as we will discuss proper freediving gear at length in class. Bring whatever you already have, whether it’s Scuba gear, freedive gear, snorkel gear, or backyard swimming pool gear. Though freedive specific gear will best suit the maximum depth allowance for this course, it is not necessary for successful completion. We also recommend you bring a bathing suit, towel and writing utensil for the lectures. Please note that boat charter fees associated with our courses are not included in the course tuition. Fees usually run between $30 and $90 per person depending on location.